Folks who crave a little something sweet from time to time may be able to indulge a little more often with a lot less guilt. It's always a happy bonus when stuff that tastes incredible also does incredible things for our bodies and boosts our health. Now, we might be able to add maple syrup to that list. Few foods are as interesting, sweet, complex or generally awesome as pure maple syrup. Plus, adding maple syrup to other foods takes them to a whole other level. Sure, bacon is great, but maple bacon is even better. Walnuts and ice cream are lovely on their own, but throw in some maple syrup and you've got a stellar combination. And finally, who wants to eat waffles or pancakes without some good old fashioned maple syrup on top? Maple lovers can now rejoice even more when they eat the sweet stuff, and their livers will too. According to new research from the University of Tokyo, consuming maple syrup may reduce liver damage and consequently boost liver health. In studies using mice, half were fed 20% maple syrup and the other half 20% sugar solution. 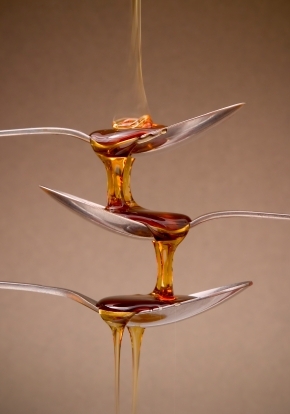 Both had the same amount of sugar content, but those who ate the maple syrup had significant decreases in the amount of certain liver enzymes that get produced when the liver is damaged, suggesting a protective effect of the pure stuff. There was also less production of toxic ammonia in the liver due to decreased activity of a gene that controls its production in the liver. Since the research has only been conducted on rats so far, liver specialists are weary about extrapolating these results to humans just yet. However, maple syrup has long been reputed in holistic and homeopathic medicine for its other healthy properties. For example, gram per gram, maple syrup has a greater concentration of nutrients with fewer calories than honey and other sweeteners, plus it is 100% natural. It also contains a significant amount of manganese, which is a co-factor in many enzymes that have antioxidant and anti-inflammatory properties. So, while the jury's out on whether or not it's good for your liver, choosing maple syrup over table sugar and even honey is a sensible choice that makes life that much sweeter.